This small mod will let you swap the stations on an in-game radio between Classical Radio and Diamond City Radio. Ever wondered why you need to have two separate radios or both Diamond City Radio and Classical Radio? Why can't you just have a single radio that will switch between both radio stations? Well now you can with this handy little mod. 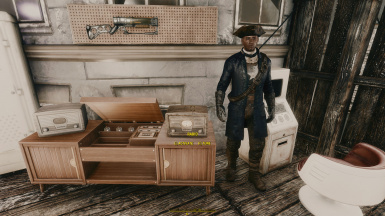 This small mod will let you swap the stations on an in-game radio between Classical Radio and Diamond City Radio with the press of a button.